Yes, it’s true. You have to build your platform to catch the eye of a publisher. And, yes, most of us agree it can be a pain in the patootee, when what we really want to be doing is writing. When purposing to build a platform, do what works for you. You’ll be most successful if you invest your energies in a way that’s live-giving for you. Your platform-building efforts should align with who you are. Do you enjoy speaking or dread it? Are you free to travel or chained to your home? Do you have the freedom to post on your blog every day, or once a week? To the extent that you’ll be driving this bus, building platform is about you. But to the extent that you’re inviting others into what you’re doing, it’s not about you! Is your writing and speaking meeting the real needs of the audience you’re building? Are you creating content that has value for them? Are you building relationships and promoting the work of others? Build your audience by creating great content that has value for them. 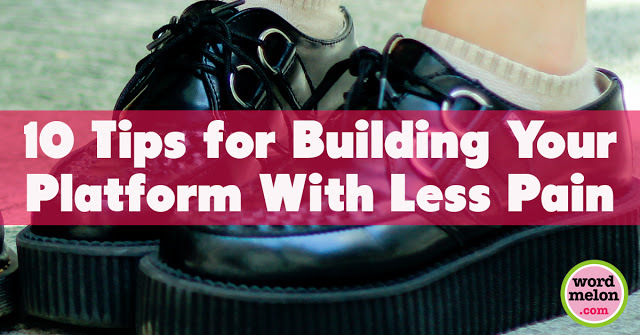 Here’s a list of 10 possibilities—among zillions—to stimulate your imagination for building your platform. Do one or two stand out? What has your name on it? What other ideas do these trigger? Create a list of 20 publications for which you’d like to write and begin pitching! If you have friends who’ve written for these mags, get a good contact name. The hard part was getting the gig and writing the thoughtful article for the online publication. The easy part will be posting the link on facebook and Twitter. Remember to capitalize on all that work you put into crafting the article. Tweet it 3 or 4 times over several weeks. Extend a personal invitation to friends to share something you’ve written. Don’t be all mass-email about. Ask personally. Comment on good content you’re reading. Promote the work of others in your field (and make virtual friends!) by sharing valuable links…comment on relevant articles…become strategically involved! Make every email count by linking to your site, blog or product at bottom. If I know I’ll be speaking someplace, I might get in touch with a local church or friend or school that might also need a speaker. (And save $ on travel, too!) Also fair game to have an assistant—or a friend who will do this for you!—make these contacts. When I was blogging, I had a quickie question that I’d ask folks, and they’d answer for about 1 minute while I filmed with my pocket-size flipcam. These got posted to social media and each one meant one more happy day I didn’t have to write a blog post. These are jumping-off points. What feels life-giving? What feels death-dealing? Remember why you’re building your platform. You are building your platform for the privilege of continuing to be able to communicate with audiences. Remember, you don’t have to do everything. Just the next thing. 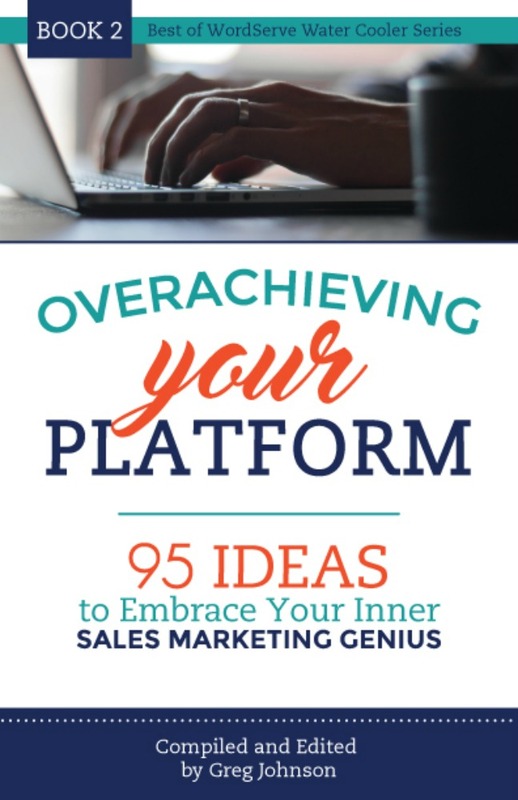 Michael Hyatt’s book, aptly named Platform. 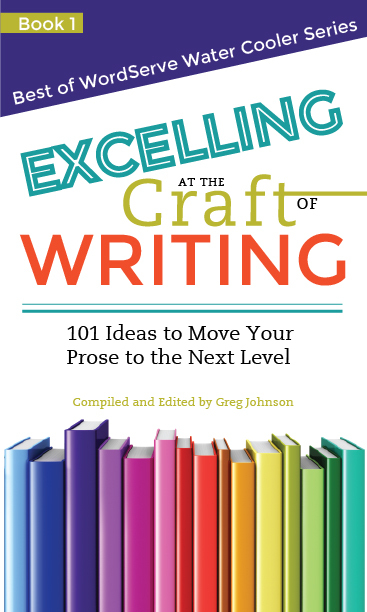 Rachelle Gardner’s fabulous blog for writers! This post first appeared on Margot’s blog, wordmelon.com. Are you using your Amazon Author Page to increase your visibility and grow your audience? You DO have a page, right? If not, then drop everything else this very minute, and set up your free Author Page by visiting https://authorcentral.amazon.com. Seriously, you need to do this. It’s easy. It’s good publicity. And did I mention it’s FREE? You can link to your blog here, making it readily available to a browsing reader who may have never heard about you or your blog before. In fact, you can enter multiple blog feeds for even more exposure; I link to my website blog and my Goodreads blog, for example. You can post videos in the Author Updates section. I’ve used it for a place to run book trailers and interviews. There’s no limit on how long you keep material on the page, so that means you get forever use from the marketing pieces you’ve created. You can list every book you’ve written, and all your book covers will show up on your page, along with links to each book’s buying page on amazon.com. It’s like having your own little store. You can list your events schedule to maximize exposure. 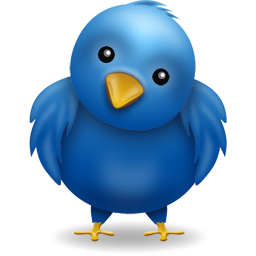 Like every social media site, your Author Page also has a spot for your bio and photos. This is a prime place to list your other social media contact information for your website, Facebook, Twitter, Instagram, etc. In fact, be sure to update this bio (and your book listings) on a regular basis, since Amazon won’t automatically add your new books to your page as they are published. You are the curator for this little store, so be sure your material is current. In fact, after checking on my own Amazon Author page just now, I realized my newest release Heart and Soul (Archangels #2) wasn’t included. You can be sure that from now on, I’m doing a monthly check-in to see what needs to be updated or revised! A final cool feature of your Author Page is that you can click on the Sales Info tab to get a feel for how your book is selling. My favorite BookScan data on the page is the Sales by Geography item; by studying that map, I can tell where my books have sold and it gives me ideas for localized sale pushes or event planning. Are you using your Amazon Author Page for smart marketing?